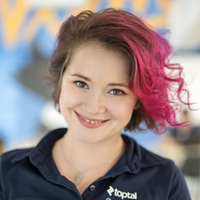 Join Toptal engineers and core team members for Toptal Tech Night taking place in Sarajevo Thursday, October 26th. The event will feature talks from two Toptal developers who will share their knowledge and experience. If you happen to be in the area that day, make sure to drop by from 5:00 PM at Networks and say hello. It will be a great opportunity to meet fellow Toptalers, and if you’re not yet familiar with Toptal, this is the perfect place to learn more about it. We’ll close out the day with a networking event at Trasa. Please RSVP on this page to give us an accurate head count. If you have any questions, please contact the event organizer, Ines Avdić-Zekić.